» "Wolfhound Reflections: a New Generation. 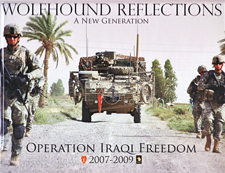 Operation Iraqi Freedom 2007-2009"
"Wolfhound Reflections: a New Generation. Operation Iraqi Freedom 2007-2009"